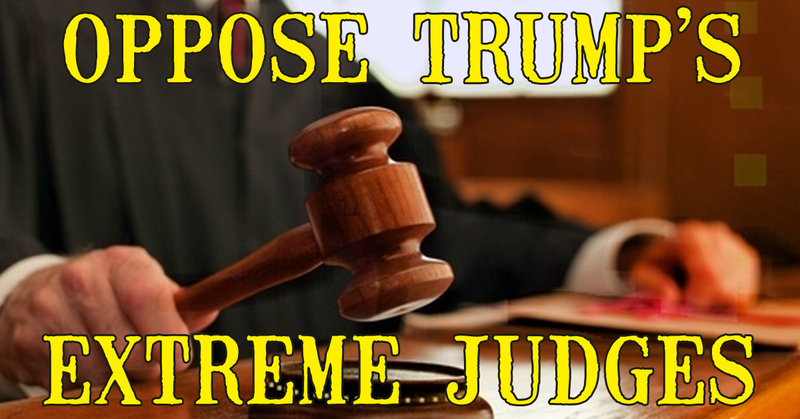 Tell Senators: OPPOSE Trump’s extreme and partisan judges! Full Senate votes on four partisan, far-right Trump nominees will be happening SOON. Senators need to hear from the grassroots now that they should strongly oppose these unacceptable Trump appeals court nominees.